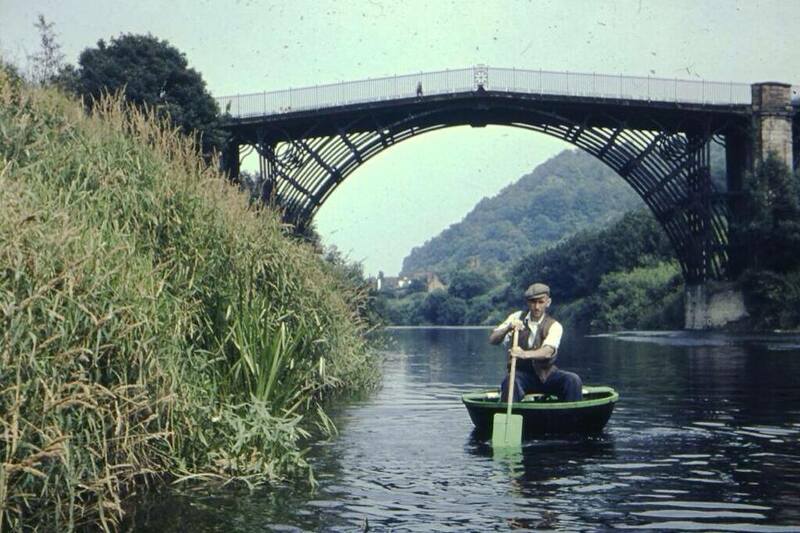 Eustace Rogers Jr in his coracle, paddling up the Severn at Ironbridge in the 60s. Rich colours really make this shot. Thanks again to Mark for sharing these.